As a part of the development of AlarmTracker, the Reference User Group (RUG) was challenged to develop an onshore scenario. Yara immediately responded by inviting Eldor to their Ammonia plant in Porsgrunn. 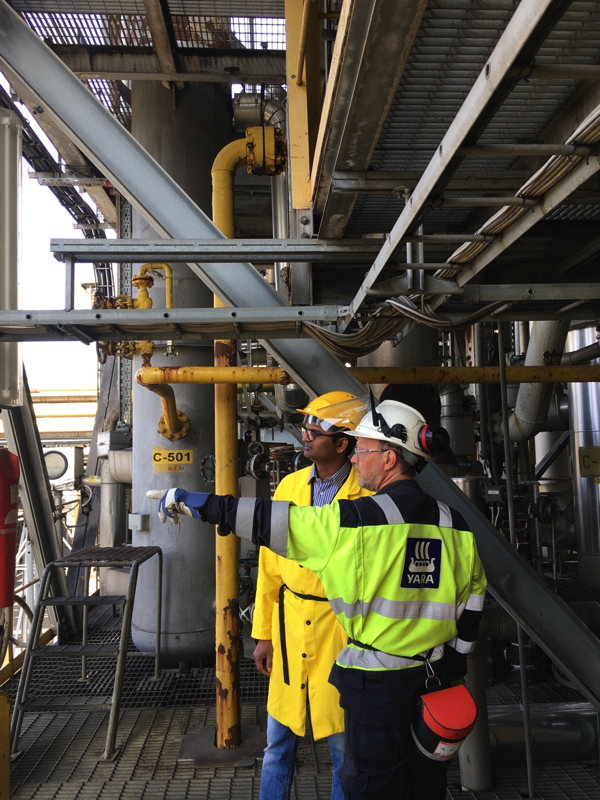 With many interesting cases to choose among, the AlarmTracker developers was invited to a tour around the plant in order to better understand the complexity of producing Ammonia.